With some beautiful curves and elegant detailing, this indoor bench is overflowing with character which will make it a great statement in any home. 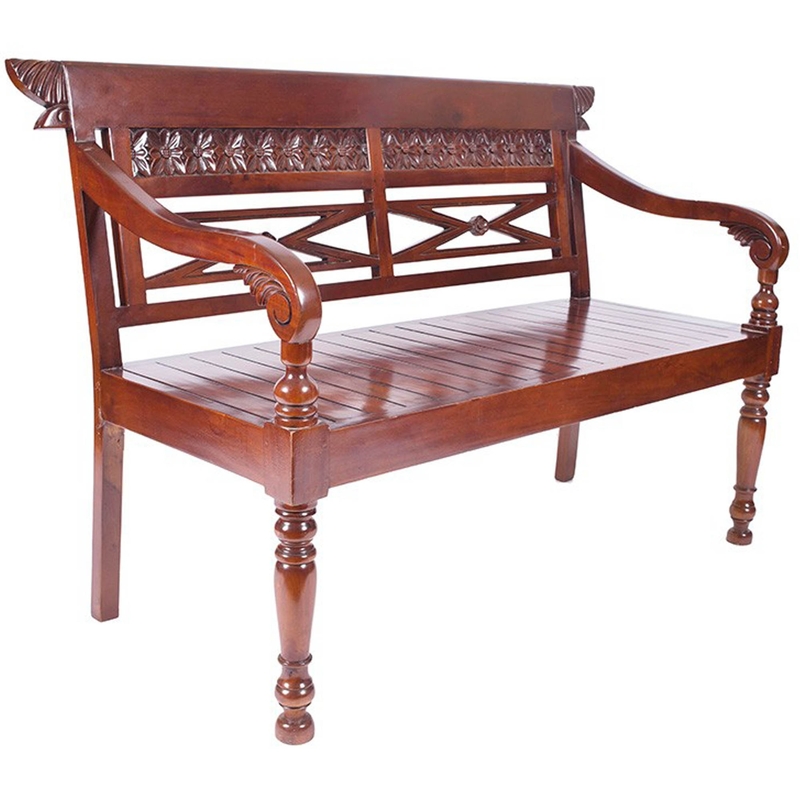 Made from gorgeous mahogany wood and had craved, this gorgeous bench features high-level materials and craftmanship. Designed to last you for generations, this bench is a must have for anyone in need of some beautiful seating space in their home.